In 2006, an earthquake measuring 5.9 on the Richter scale shook Yogyakarta. It happened in the morning when many people were still at home. The results were devastating. More than 5,000 people lost their lives and more than 200,000 buildings were damaged or destroyed. One of the villages that was badly affected by the earthquake was Pundong, located 21 kilometers from the heart of Yogyakarta City. Almost all the houses in Pundong collapsed and many people were injured. Just like other areas in Yogyakarta, the village received aid donations from both local and international foundations to rebuild. However, ten years after the unfortunate event, the area still needs support, especially in terms of social community development and capacity building. “Early marriage is still prevalent. Many youths also drop out of school. In addition, poor public health services are often found,” says Nurwantini, a local youth. The unemployment rate is also high in rural areas like Pundong. Young people are reluctant to work as farmers because the work is hard and returns are low. And yet, a lack of education means many young people in rural communities cannot compete in the job market. In order to tackle this issue, GROUND Indonesia’s tour director started working with local youth to create solutions by establishing student placement and community development programs. 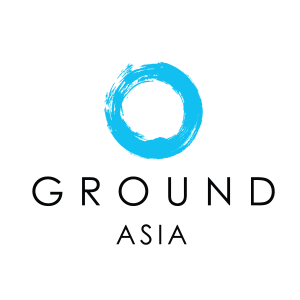 Pundong is now one of GROUND’s ‘Core’ communities where we create programs that can increase the capacity of local people, ranging from healthcare placement and teaching to eco-tourism activities, visiting rural destinations and natural habitats.